Buy a Craft, Feed a Baby! Pin two of my listings and get $5 off. Message me the link to your pins, and I'll email the code right away. Choose any 5 cards from my shop. Buy a Card, Feed a Baby. Includes Envelopes. Graduation Card, You Went To College. Buy a Card, Feed a Baby. Funny Greeting Cards with Envelopes. Obligatory Card. The greeting card for birthdays, valentine's, father's day, Christmas, more. Buy a Card, Feed a Baby. Includes Envelopes. Celebrate! Birthday or Anniversary Party Greeting card. Buy a Card, Feed a Baby. A6 - various quantities - includes envelopes. BreastCardEver: LET IT SNOW! Buy a card, feed a baby. Greeting Cards, bulk, lot, includes envelopes. Good luck! Greeting card. Buy a card, feed a baby. Size A6 - various quantities available - includes envelopes. Happy Birthday Chica Greeting Card. Bulk Birthday Cards, Card Package, Buy a Card, Feed a Baby. Includes Envelopes. Choose any 10 cards from my shop. Buy a Card, Feed a Baby. Includes Envelopes. Oh my stars, Thanks. Thank You Greeting Cards. Buy a Card, Feed a Baby. A6 - various quantities - includes envelopes. Happy Thanksgiving Turkey Card! Buy a card, feed a baby. Size A6 - various quantities available - includes envelopes. Sending Love | Condolence Sympathy Card. Buy a Card, Feed a Baby. A6 - various quantities - includes envelopes. You Did It! 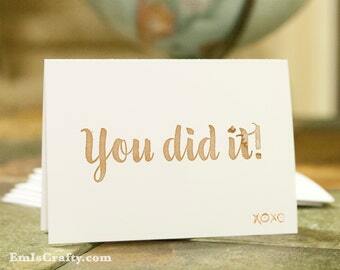 Congrats Congratulations Greeting Cards. Buy a Card, Feed a Baby. A6 - includes envelopes. Happy Birthday Dude Greeting Card. Bulk Birthday Card, Card Pack, Buy a Card, Feed a Baby. Includes Envelopes. Bulk Greeting Cards. Lot, Assortment, Pack, 25 Greeting Cards. Birthday, Bday, Thank You, Thanks, Congrats, Apology. Choose any 25 cards from my shop. Buy a Card, Feed a Baby. Includes Envelopes. Hey There Greeting Card. For spring, birthdays, love, friendship, thinking of you, more. Buy a Card, Feed a Baby. Includes Envelopes. Robin said her son is in love with tigers lately and asked to add a few to the forest felt wall. So of course I said yes! Enjoy! 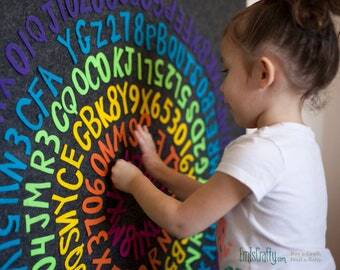 Forest Felt Wall - Montessori Learning. Kids ages 3, 4, 5, 6, girls and boys learning with toys. Girl or boy gift. 20 jelly fish getting ready to swim to a new home.